This is a sponsored conversation written by me on behalf of TH Foods. The opinions and text are all mine. Sometimes you come across a really yummy food and you are surprised that it’s actually full of good stuff. And it’s gluten-free too! I don’t follow any special diets. So, personally, I don’t necessarily make food choices based on ingredients alone. 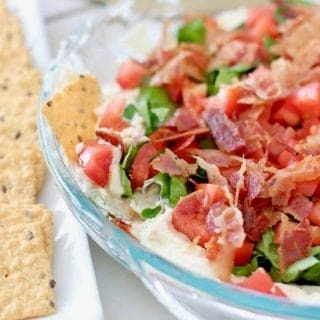 I just want whatever I am eating to taste good (like this BLT Dip)! 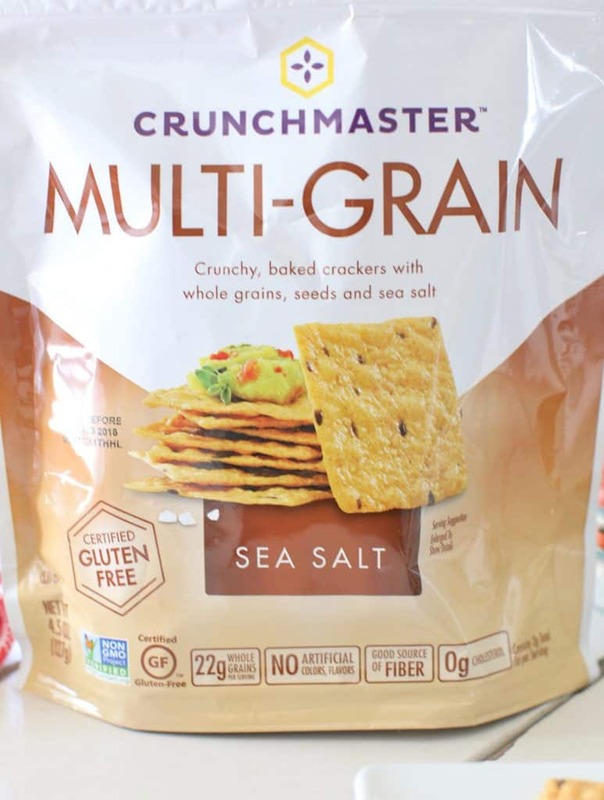 So, it’s a bonus for me when I taste a really awesome food and then find out its full of goodness like whole grains and seeds and no artificial flavors or colors like these Crunchmaster® crackers. I get excited about it so I enjoy sharing it with all of you. I know many of the folks reading this blog have to make choices based on gluten and other ingredients. 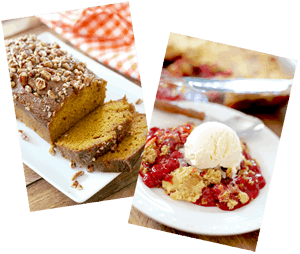 So I do my best to try new products and recipes to share just for you! Some products make the cut and others don’t. This is one product that makes the cut. When it comes to good food, simple is often best. 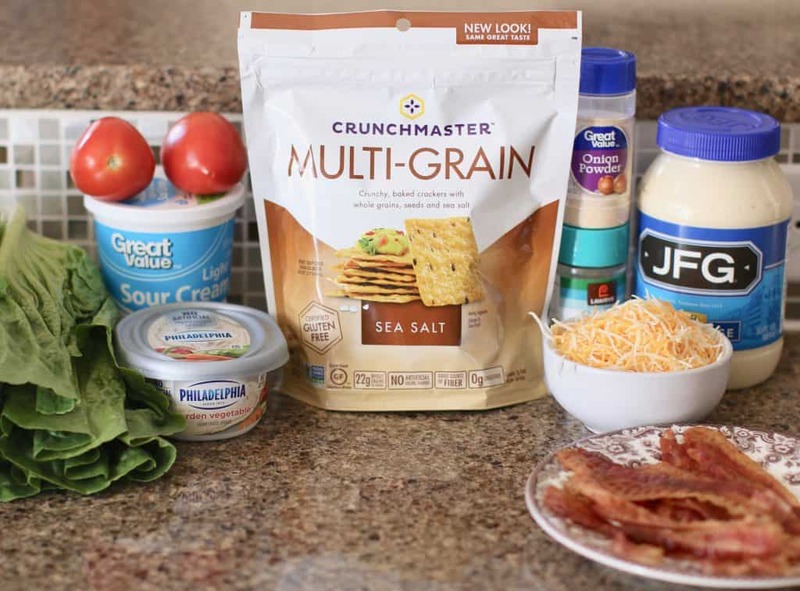 Crunchmaster crackers are gluten-free and kosher, and many flavors are free of common allergens like eggs and dairy. 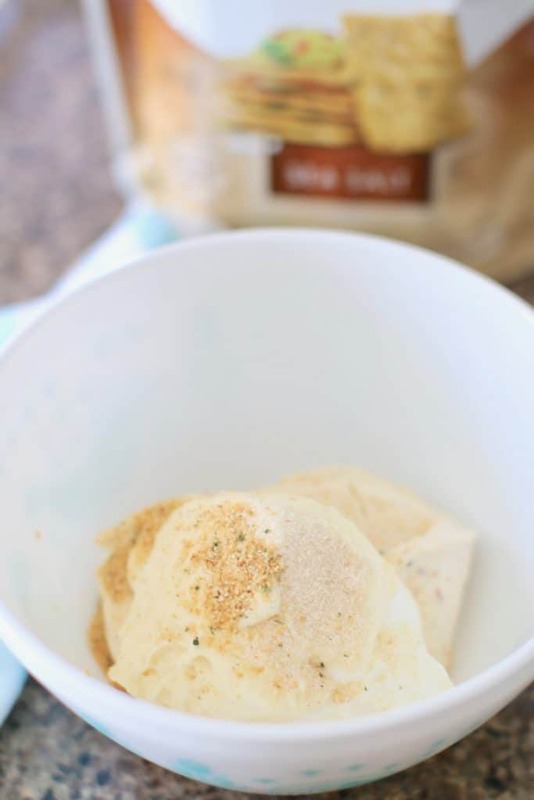 I have tried several varieties of Crunchmaster Crackers: Original, Sea Salt, Artisan Cheesy Garlic Bread, Signature Buttermilk Ranch & Dill and they have all been seriously delicious! 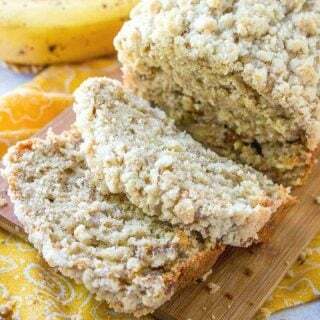 This yummy and tasty recipe I am sharing today is perfect for holiday entertaining if you are looking for a delicious gluten-free recipe. 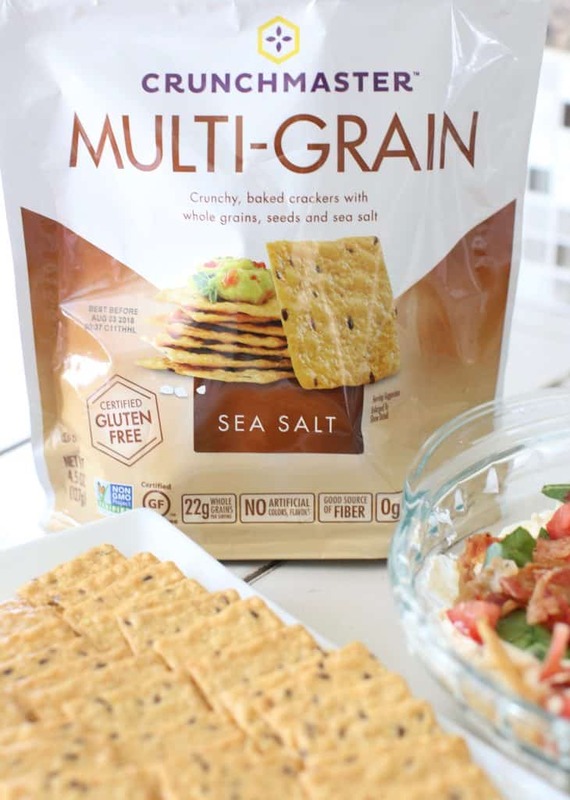 And, if you are like me, and don’t necessarily follow a gluten-free diet – it’s okay, it still tastes amazing…just like the Crunchmaster crackers! Let’s dig in! 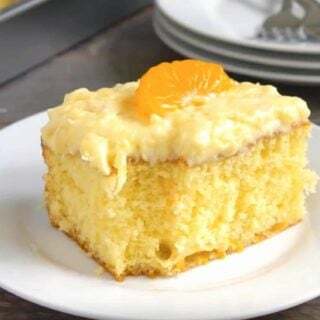 *Cook’s Notes: Regular cream cheese can be substituted. 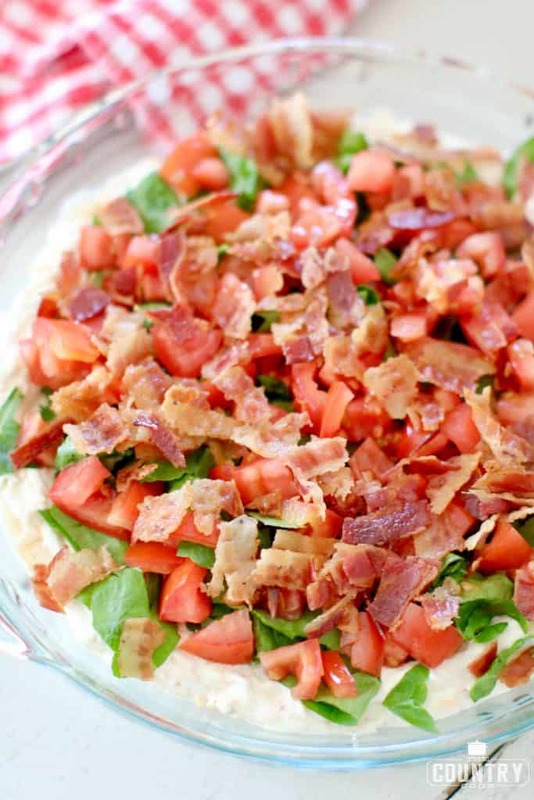 You can also substitute cooked bacon with a bag of real bacon pieces to save time. I used microwaveable bacon here. 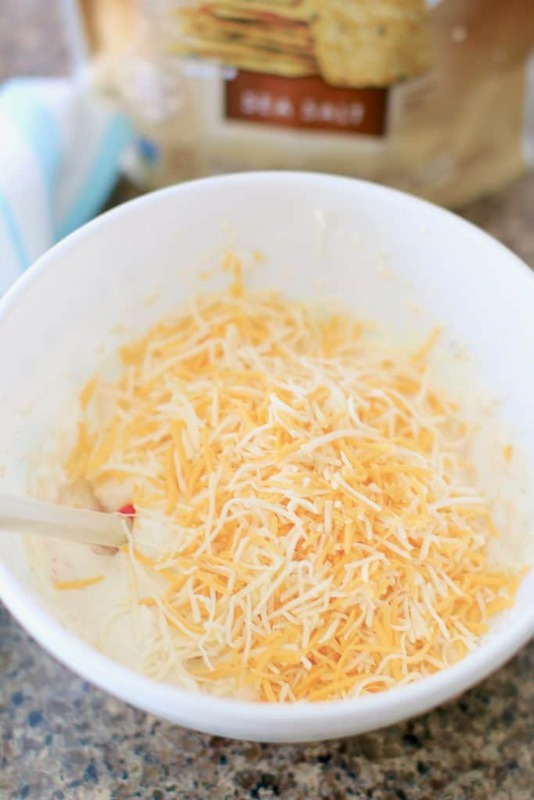 In a medium bowl, combine softened vegetable cream cheese with sour cream, mayonnaise, onion powder and garlic powder. 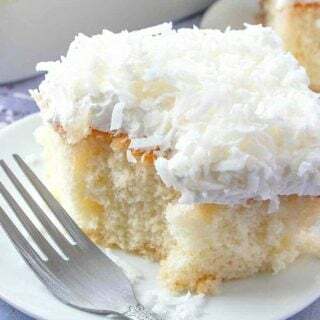 Stir well or use an electric hand mixer to combine. 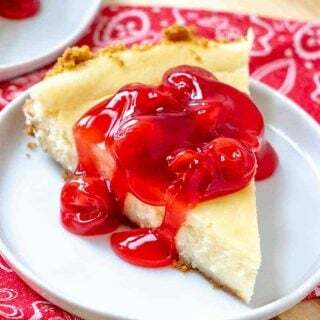 Spread cream cheese mixture into a pie pan or round dish. 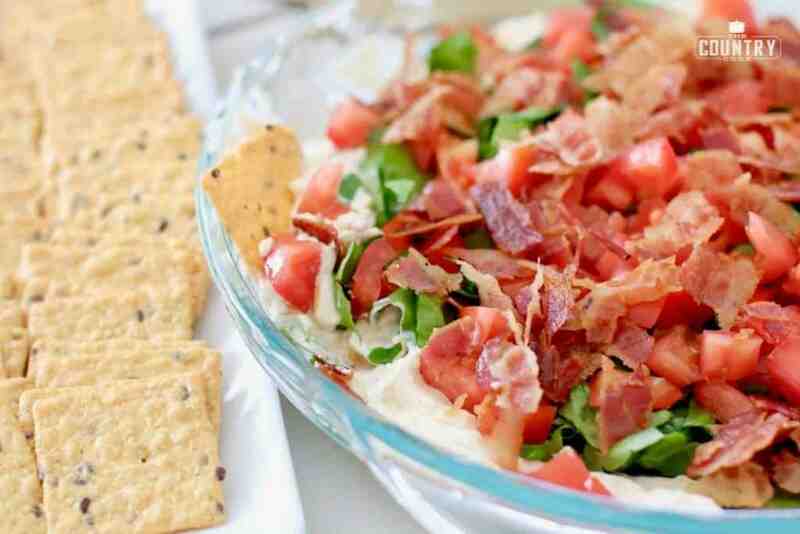 Top with lettuce, tomato and bacon. 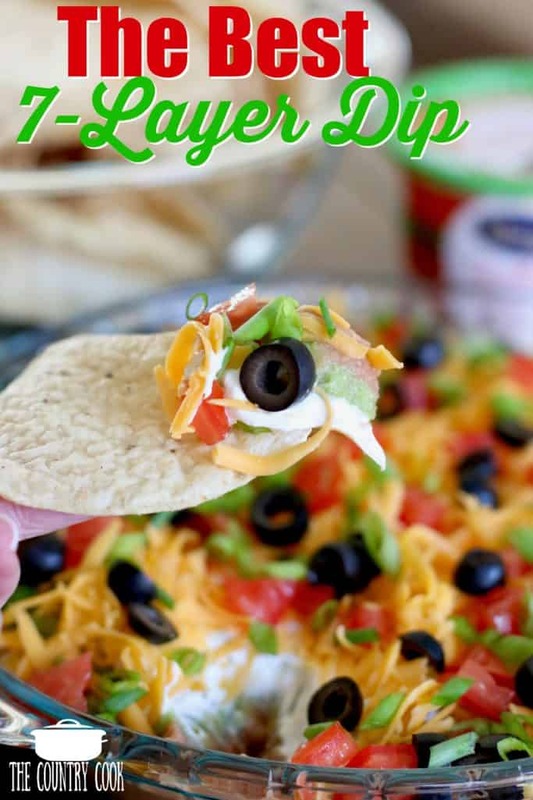 Serve with Crunchmaster crackers. 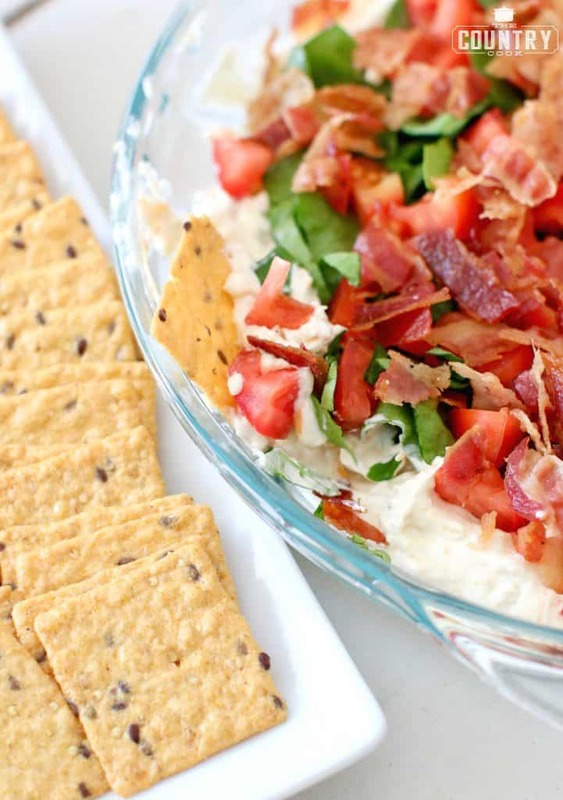 The crackers really add another layer of flavor of this dish! 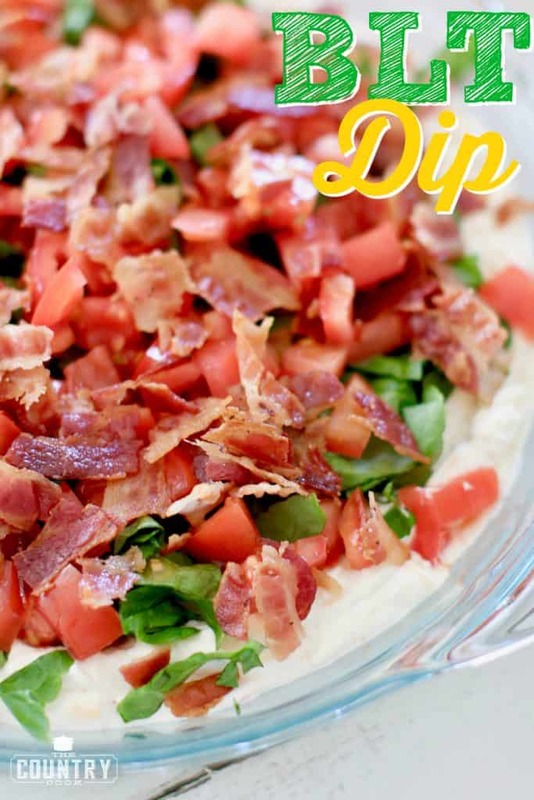 BLT Dip is a creamy dip made with vegetable cream cheese, sour cream, mayo, seasonings and topped with bacon, chopped lettuce and diced tomatoes! 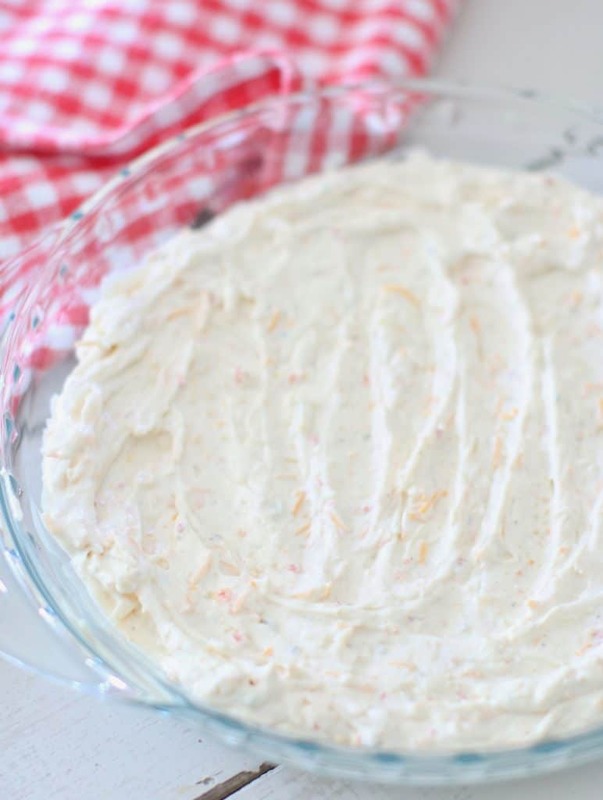 Cook's Notes: Regular cream cheese can be substituted. 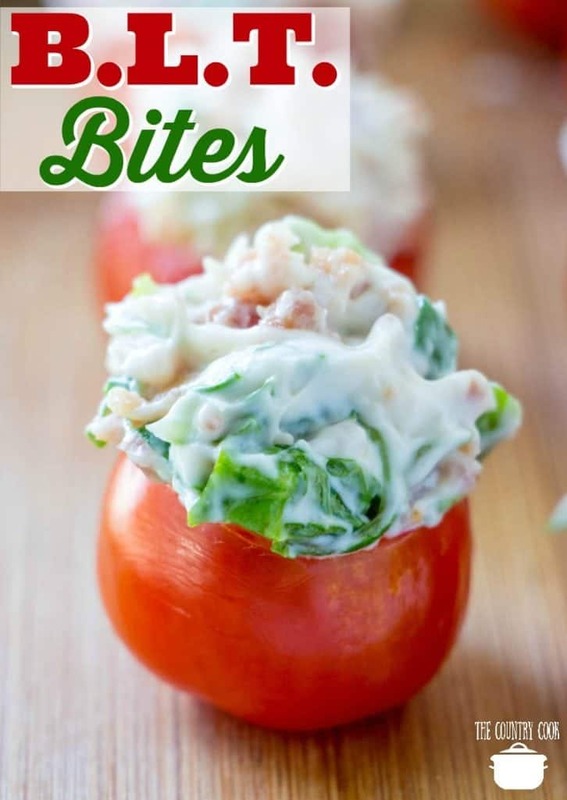 You can also substitute cooked bacon with a bag of real bacon pieces to save time. I used microwaveable bacon. 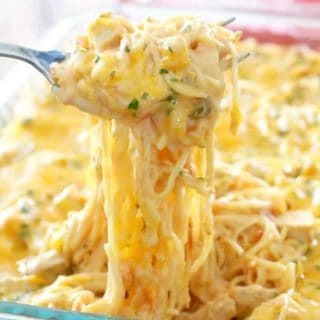 No shredded cheese listed in recipe how much? What kind? What can you subitute cream cheese with? Can it be made with lowfat products to cut down calories? Mmmm! 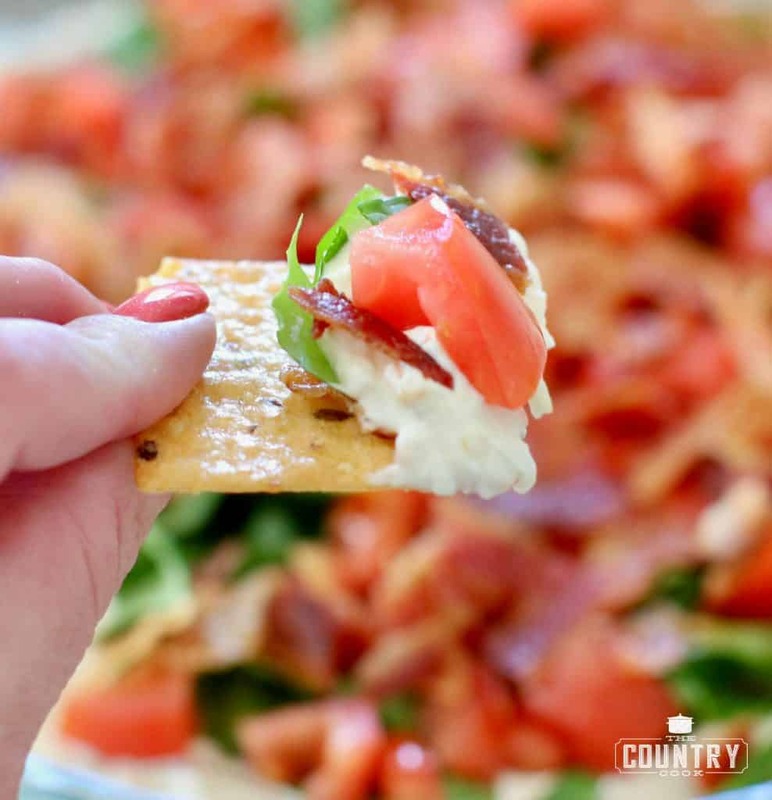 We love BLTs around here and anything snacky. So this is a perfect way to get both at once! I can’t wait to try it! 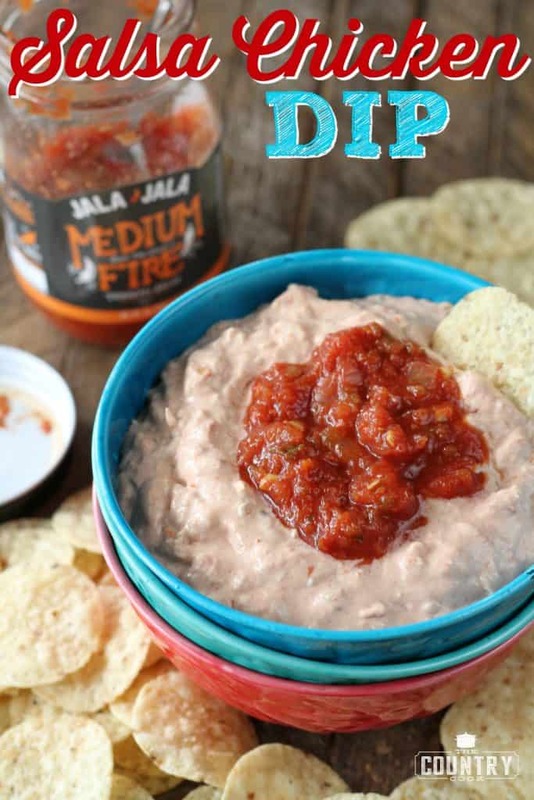 Oh now that is my kind of dip! Love it! 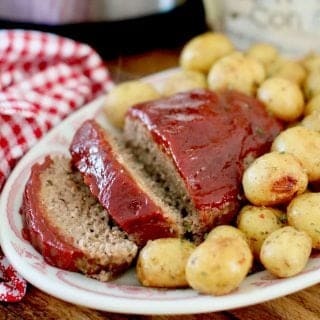 Just gimme a giant bowl of this! !